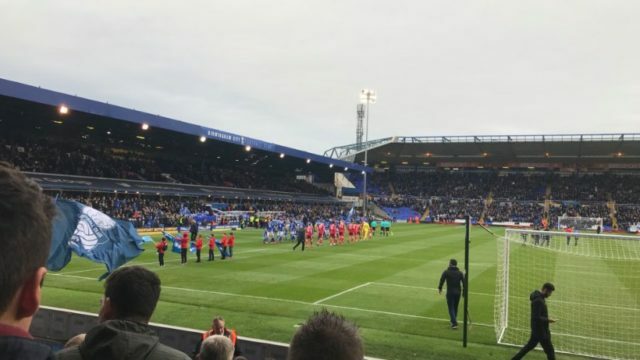 The Martin O’Neill (and now Roy Keane) era takes its first steps outside of Nottingham this weekend with a jaunt across the West Midlands to Birmingham City. What was a fairy solid away record before Christmas has taken a severe turn for the worse ever since and it’s imperative that we stop the rot at St Andrews. I’ve placed on record multiple times already this season that it’s largely been a joy to go and see Forest away. 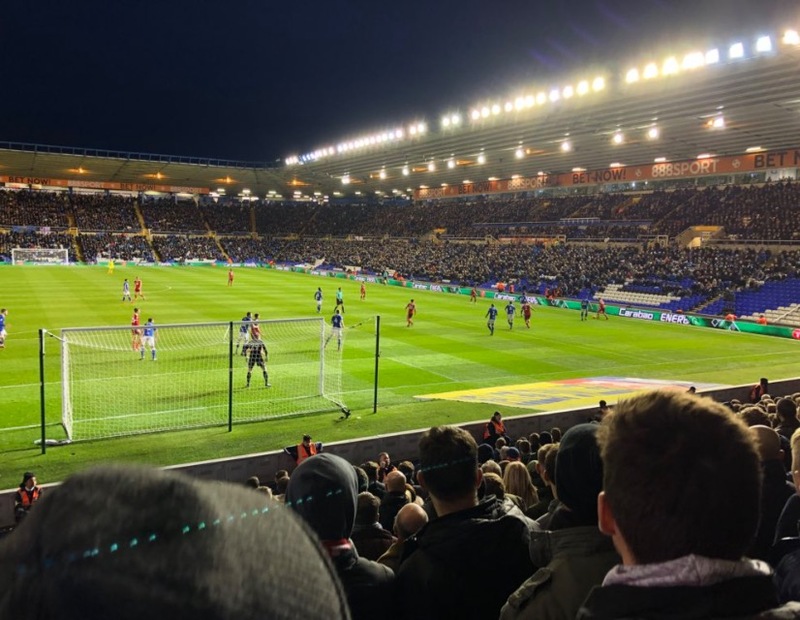 The suggestion that Karanka’s side churned out tedious defensive displays looked a bit daft when witnessing some of the play on the road – we regularly looked anything but a defensive unit at both ends of the pitch. Free scoring and plenty in our own net too. And I don’t mean that as a dig – I bloody loved it. Still, we didn’t win many either and that’s got to be something we improve on under O’Neill. Part of the enjoyment of being on the away trail this season has been the support. The best I can remember for a long time; spurred on by the aforementioned exciting brand of football. And even better that it’s in such big numbers. This will be a third consecutive away fixture we have sold out. Rail: Train is likely to be the preferred method of travel of the 3,100 Reds and there are generally four services an hour to pick from taking around 1hr and 20mins. Note that a couple of those trains involve a change so best to aim for those at 06/07 or 41 minutes past the hour which will take you direct to New Street. We are aiming for the 09:07. Coming back there is a similar regular service with the 19 and 49 minutes past the hour being the direct services. The cost of an off-peak return is £20.55. Road: A fairly straightforward journey from Nottingham using M1/M42/M6/A38 but a little bit of hard work from there to reach St Andrews I have always found. There is a car park right next to the away end which isn’t huge and it’s a slow get away. There is also the option to park in the city centre although those in town are probably costly. Something I have done before is park outside of Birmingham and get the train in. When leaving the M6 at Jct 6 (Spaghetti Junction) to join the A38 into Birmingham you can veer right instead and can find Gravelly Hill station after only a few minutes. There is always plenty of street parking around and you can hop on a 11-12 minute train to New Street for only £2.70 return. This is certainly a slightly longer journey but takes away the hassle of driving in and out of Birmingham and finding somewhere to park. It might also work out a bit cheaper than paying to leave your car somewhere. 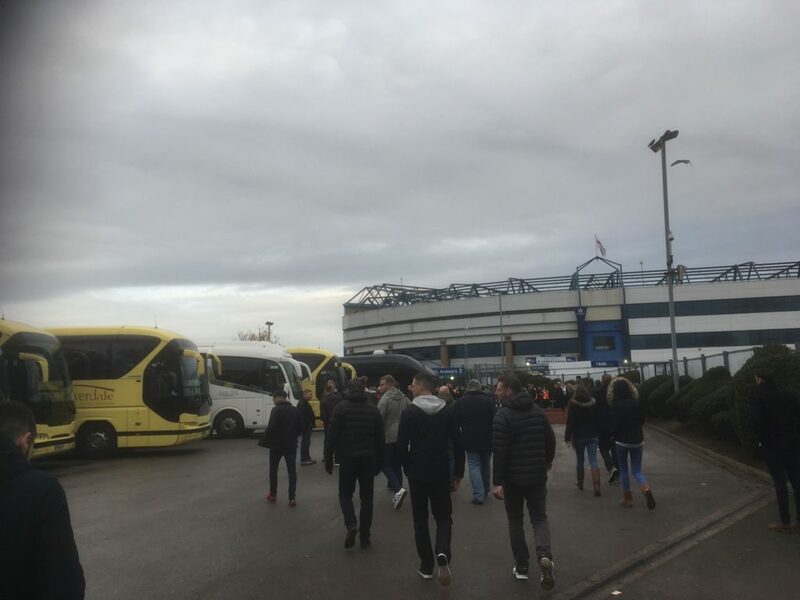 Beyond that I’m not really sure when it comes to parking – our Birmingham fan below may be able to help a little more on that. I’ve only ever drank around the ground once and that was only via sneaking into a home fans only pub for an FA Cup replay around 2010 I think. The best option if you can is to stick to the city centre. There are plenty of options and Broad Street / Brindley Place are all walkable from the station albeit you are heading away from the ground. The Sun on the Hill is also a popular choice and a good place to start upon arriving in Birmingham. The Shakespeare sits right outside New Street and will no doubt attract a few Forest too. Just around the corner from both of these is the Old Joint Stock which isn’t particularly welcoming of football fans but will allow smaller groups. It’s a proper old style pub with, bizarrely, a theatre in the back. Last season we drank in Brewdog close to the station and jumped in taxis to the ground at around 2:20pm. I’ve never sampled any of them but a few of the pubs on the stretch towards the ground look decent and don’t appear to have an issue with away fans. If you give yourself enough time it might be a good idea to break up the walk and call in one of these. I don’t know any of the names but you’ll pass them on Coventry Road soon enough. Keep in mind that if you are in town then leave yourself at least 20-25 minute walk to reach St Andrews. 1. After a topsy turvy few years Birmingham appear to be making some progress. What’s the mood like around the club and has the turmoil now been put behind you? The mood is good but being a Bluenose it’s a nervous good as we know things could change just like that. We are just happy to go with the flow for now while times are good. 2. There are perhaps some broad similarities between our two clubs in recent seasons. Foreign owners dragging our name through the mud, financial issues and a dangerous flirtation with the relegation spots. How tough has it been as a Blues fan? It’s been harder for the younger generation who grew up supporting Blues when we were in the Premier League and won the Carling Cup. They don’t understand that it’s life as a Bluenose, very few ups with a lot of downs comes part of it. 3. Both clubs are going to be after a win to reignite their play-off hopes. How do you see this one going? As said previously we go into games expecting nothing and hoping for the best. Our hearts will always say a Blues win but the head still looks at things with an open mind. If we can get a lead then we might edge it. That said we are different team under Garry Monk, the fight has returned and with the addition of a new face adding to our attacking options I’ll be disappointed if we don’t come away with at least a draw. 4. We have sold out our allocation of 3,100 tickets. What sort of crowd are you expecting? And something I’ve always been curious about at St Andrews is that small upper tier above the away section. Is it ever occupied? It’s heading for a 23k plus crowd which should add to the game. Sadly our home atmosphere, despite our higher attendances, is one of the nervousness I talked about previously but hopefully we can respond to your 3k. The upper section has been closed due to our safety officer’s reluctance to open it but it has been open for the last three games after pressure from supporters groups to the owners. 5. 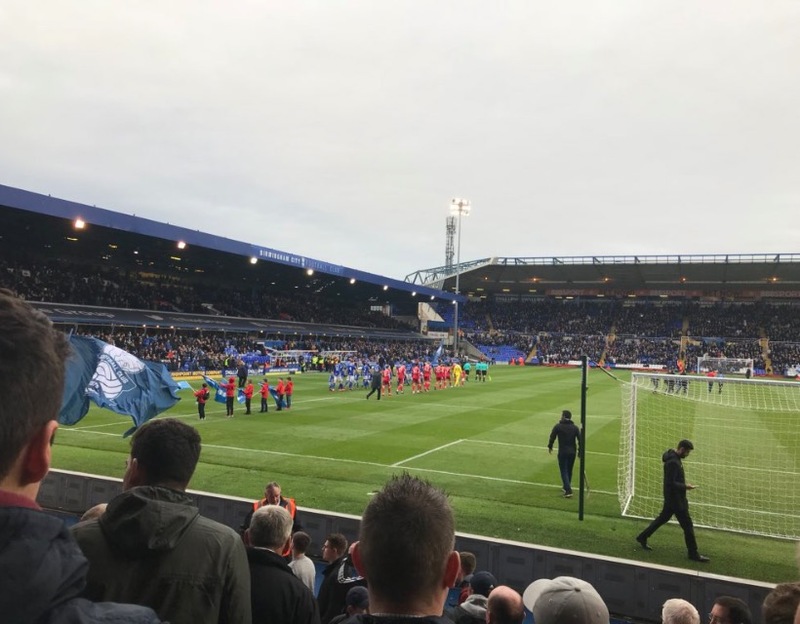 Forest fans were pleased to see that tickets were set at £20 – is this a regular price and has a decision been made to follow the lead of the #TwentysPlenty campaign? It’s certainly great to see more affordable pricing. The TwentysPlenty campaign is one I have personally promoted with some other fans. A few years ago we had meetings with the club staff and I’m happy to say it seems like they listened. Our pricing is one of the best in the league and this has a regular thing for a couple of seasons now. 6. Where would you recommend away supporters head for a drink? Anywhere around the stadium? Not really anywhere near the ground so best heading for the city centre as most pubs around the stadium are Blues only. 7. For those driving do you have any tips on parking? You can park at Birmingham Wheels which is located at Adderley Road South, Birmingham, B8 1AD (there is a £5 charge) although this does mean walking past one of the main Blues pubs (if you don’t want trouble you won’t get any). Otherwise there is plenty of street parking near Dunelm by the island off Coventry Road. 8. 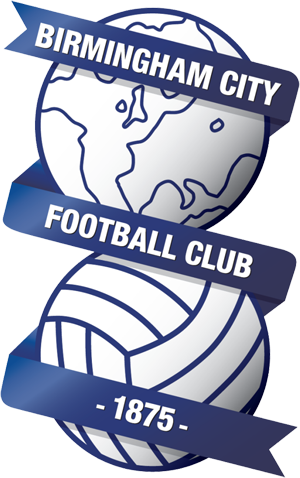 What would represent a good season for Birmingham? I’d be happy with a mid-table but the league is that open anything is possible for all teams. Birmingham finish mid-table and Villa go down? Birmingham finish top six and Villa win the league? Good luck, let’s hope it’s an entertaining game whatever the outcome. Many thanks to Adrian for answering our questions. Finally – we are taking a bus to Preston on 16th February. A 9am departure from Nottingham city centre with pub stop. £18 per head. Get in touch if you are interested.